If you experience any kind of stress, you will need something to soothe your mind later. Relaxing is really important for your mental health. However, not everyone could go on a long vacation and relax on a dreamy beach. In fact, you don’t need that to feel relaxed. You can achieve that in an instant, and the following list will help. Observing things that are the definition of ‘perfection’ always helps! There is something really fascinating about these things and we love seeing them! We believe that you will enjoy them, too! Having a robot vacuum cleaner at home was considered to be science fiction a few decades ago. However, we accept these little helpers as something perfectly normal these days. They can be clumsy sometimes, and in other cases they could even make a mess. This is not the situation here! 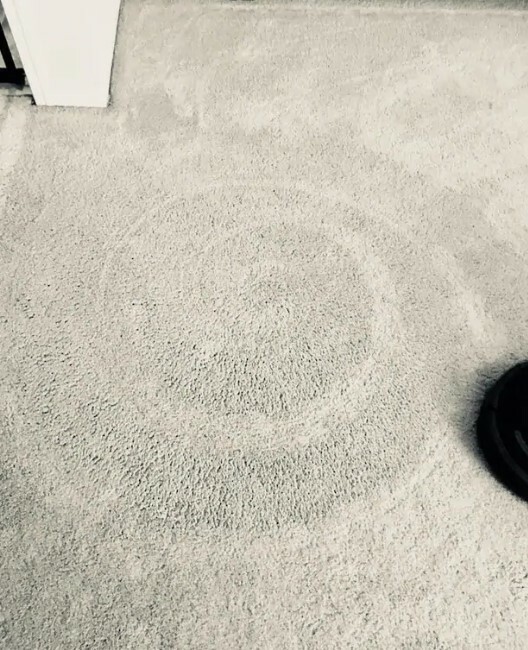 This particular Roomba was able to make a perfect spiral pattern on this rug, and we like it a lot! It is like a robotic dance, and it must have been nice to observe it from a distance. We have all seen tile floors and most of us have at least one room covered in tiles except for the bathroom. Some of these floors can feature a really intricate design, and we like seeing complex patterns. The one you see here does not feature a perfect rectangular shape. However this is what makes it interesting. 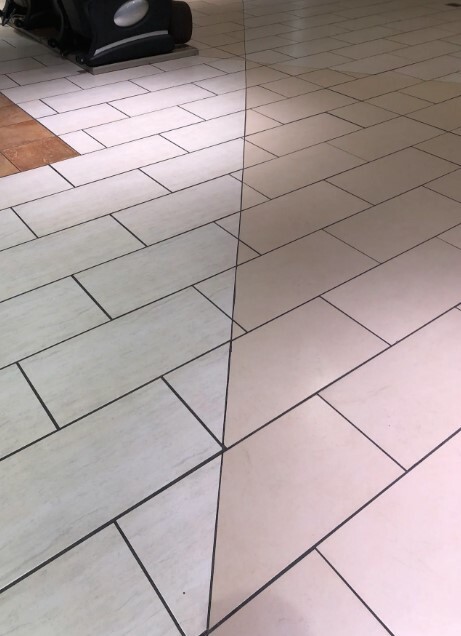 When you see how each tile was cut to perfection in order to follow that slight curve, you will appreciate the patience of these builders. We give them credit for their effort! Most people consider mowing the lawn as an annoying task that everyone could accomplish with ease. We think that this is a wrong perception, because you will probably fail to do it if you lack experience or proper approach. These things are essential if you want the best possible result. 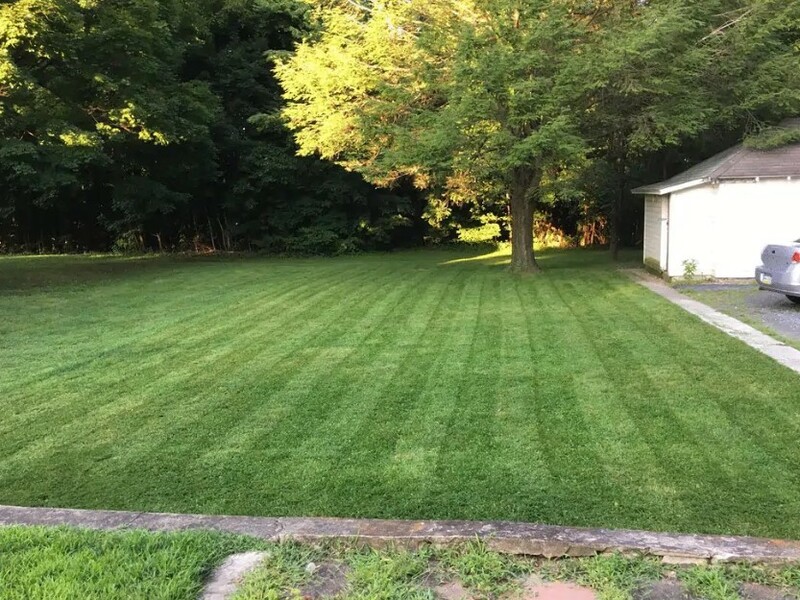 As you can see, the person responsible for mowing this lawn did an amazing job! The perfectly aligned markings on the grass show how methodical their approach was. This is definitely the right way to do any job. Everyone likes to have a nice long bath or a dip in the pool! These are the kind of activities that can relax your whole body and make you forget about the stress. However, this photo shows one rather unexpected way in which a bath could help you relax. 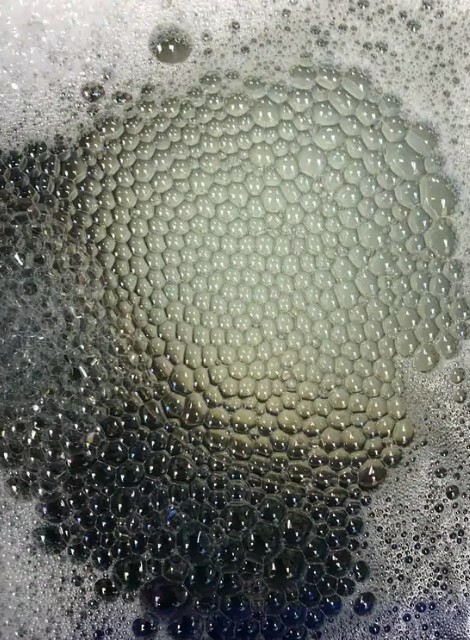 The foam somehow formed an amazing pattern of evenly sized bubbles that look like crystal matrix! We have never seen this kind of shapes in our bathtubs, but we will surely try to recreate this effect. It is so soothing to observe and we love it! When you are at a coffee shop and you order your favorite drink, you know exactly what you are going to get, right? 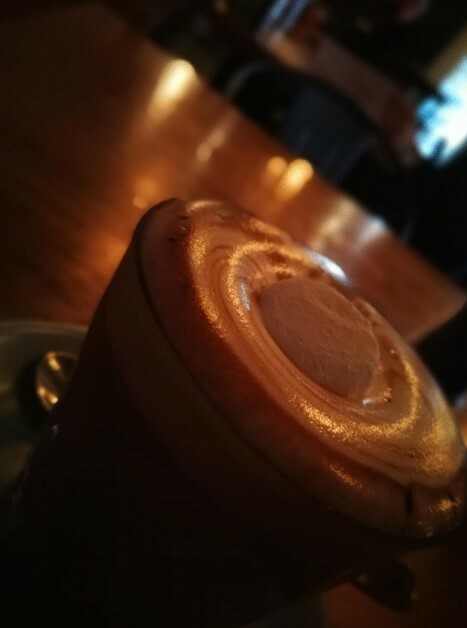 We know we do, and our lattes are always looking good and taste even better. However, someone really topped our coffee experience with this cup of hot chocolate! The absolutely perfect smoothness of the drink is really nice to see! It almost looks like a modern art sculpture, but it’s a real cup of coffee! We wouldn’t want to drink it because the perfection will be ruined, but, then again, it is only a hot drink. The majority of people simply love kitchen hacks! The reason is that the kitchen is a very active and also productive space! It has all kinds of appliances and products scattered around the place. All of this can easily turn into chaos if there is not even a hint of organizing all of the stuff. This is where the different hacks come in handy. 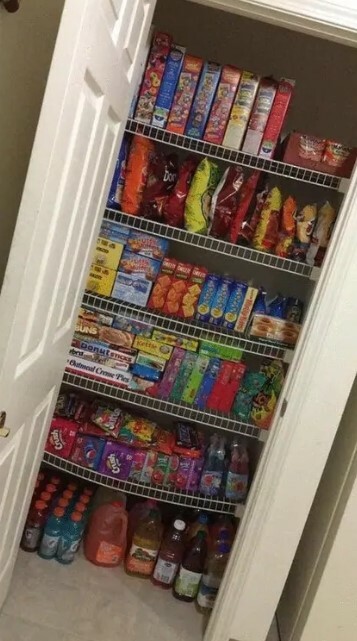 This pantry is not a kitchen hack, but it can serve as the perfect guideline for everyone! 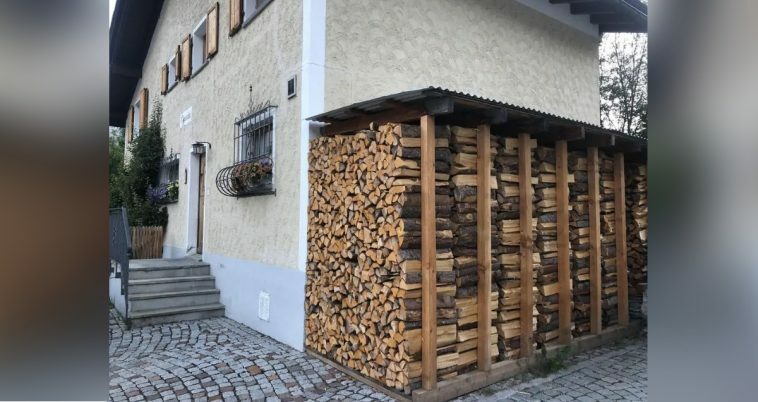 It is a nice example showing how taking some time to arrange the variety of products into the most perfect order can really pay off. In today’s busy world most of us are more or less messy. The busy schedules we have are forcing us to do everything fast and with less attention to detail, because most often we have no time to do better. However, there are some individuals that would not let such an excuse ruin their way of doing things. We believe that the person who created these notes is among those individuals. The meticulous attention to detail and all the perfectly placed colors really blew our minds! 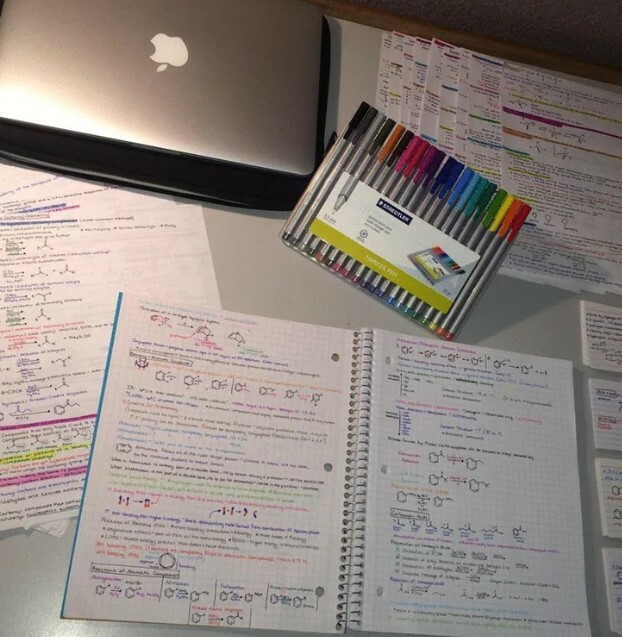 Instead of seeing scribbles and messy ink stains, all you see here is perfection! We have seen similar things before, and we can assure you that it can really be annoying. 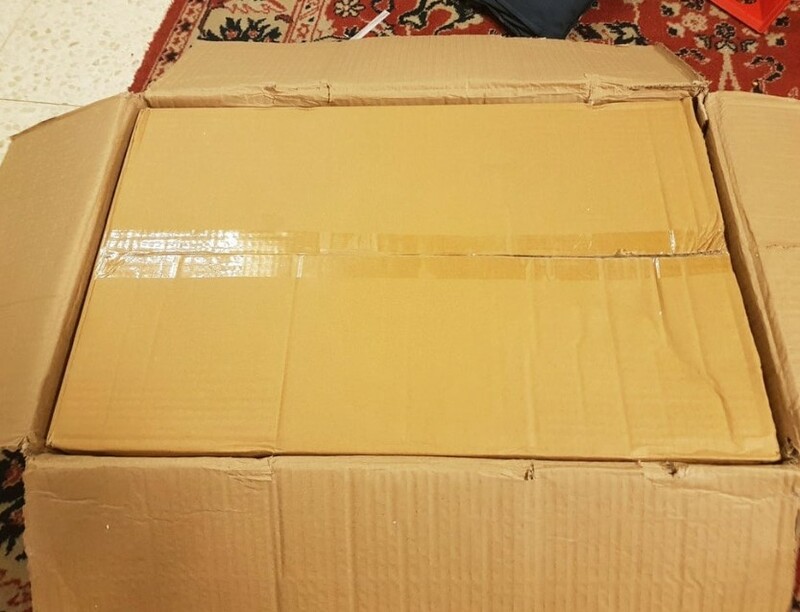 As you can see, the inner box fits absolutely perfect inside the bigger one, which is nice if look it from a logistics’ point of view. However, imagine that you need to get the inner one out and it had something heavy inside! This is where it starts to get annoying. After some attempts you would realize that you need to rip off the outer box into pieces. Who would have thought that a faucet could bring some perfection for your sore eyes? Well, it is a fact, and we love seeing that water falling down in the sink. 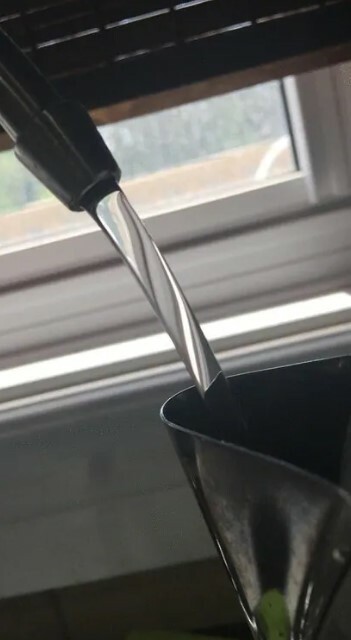 It seems to be the perfect flow, because it looks motionless. And what’ even more surprising, it comes out of a faucet! We all know how you can never get it to run without drips and splashes all around, but it looks like someone achieved perfection. 10. Who knew that hanging the laundry can be a form of art? It sounds crazy when you think about it, but when you see the photo you begin to realize that it is true! 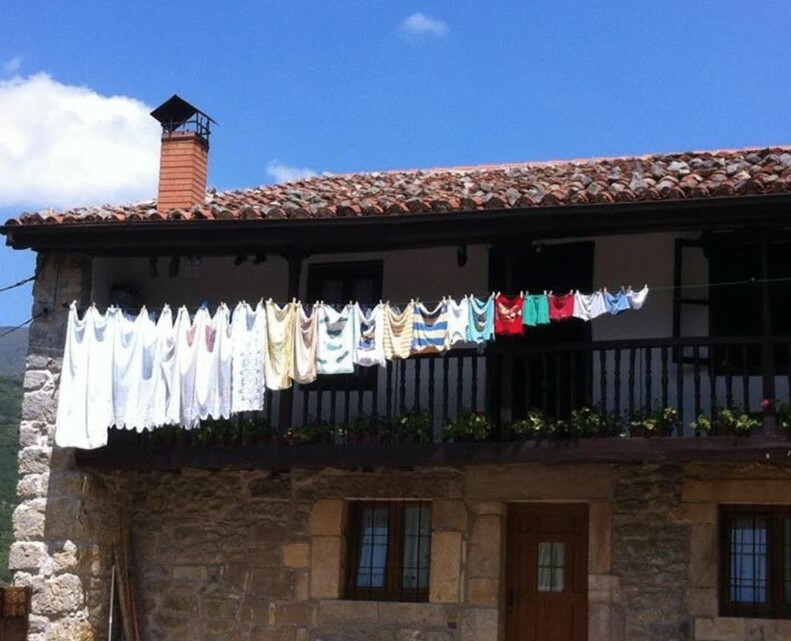 This is obviously just a rural family house with a lot of laundry hanged outside. However, the pattern of the laundry looks exactly like an art installation. We would like to know if it was a desired effect or someone simply hanged the clothes without realizing the magnificent end result. Sometimes the best forms of weird art are purely accidental. If you have taken the opportunity to join an art class or you draw in your spare time, you probably know how messy of a process this might be. All the supplies get scattered around the place, and a lot of rearrangement is needed afterwards. However, some people apparently love to keep everything under strict order, and this is the best thing to do, of course. 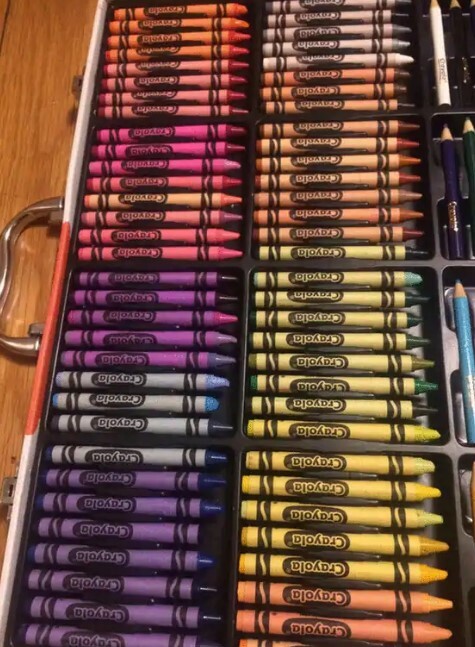 Except that it helps the artistic process, all the colors are incredibly satisfying to see, too. 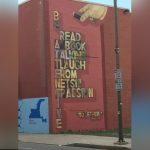 Saying that out loud seems weird, but one look at this photo will make you that it is true. It might be hard to see it at first, but the middle section of this small glass fence is shattered. However, instead breaking into hundreds of bits scattered all over the place, it remained as you see it in the photo. 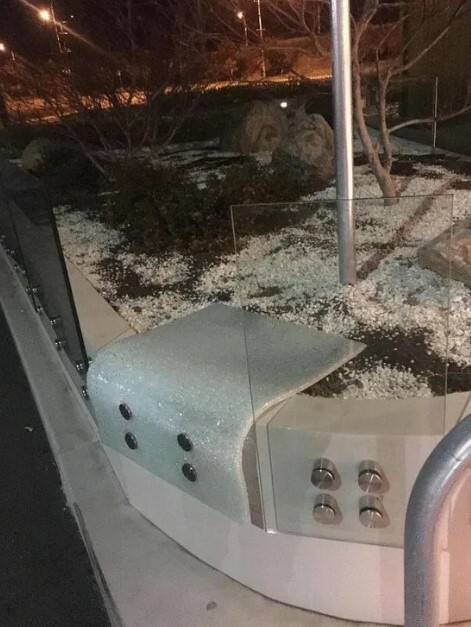 The piece of glass looks like it was melted in some weird way, but it didn’t. It is broken into thousands of pieces, but it is holding itself together somehow and looks like it just slid down like a rag. It is all about the presentation, or should we say, the arrangement! 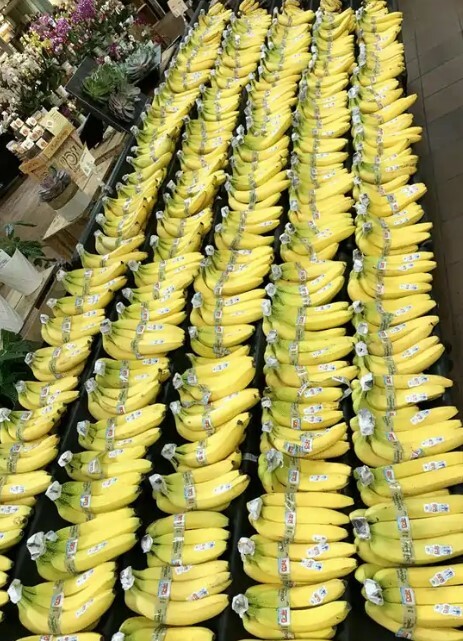 It seems that this store’s staff really took their time to align all of these bananas in perfect order. They created a pattern that we find to be relaxing to see, but this might be caused by the fact we simply love bananas. Seeing that someone took their time to arrange a stand or an aisle like this is always nice and we appreciate the extra effort these people are willing to make. 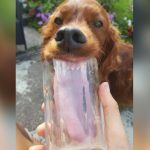 We need to admit that we had to take a second look at this photo before actually realizing what was in it! This person did one of the best car polishing jobs we have ever seen! The side of this car looks better than a mirror! 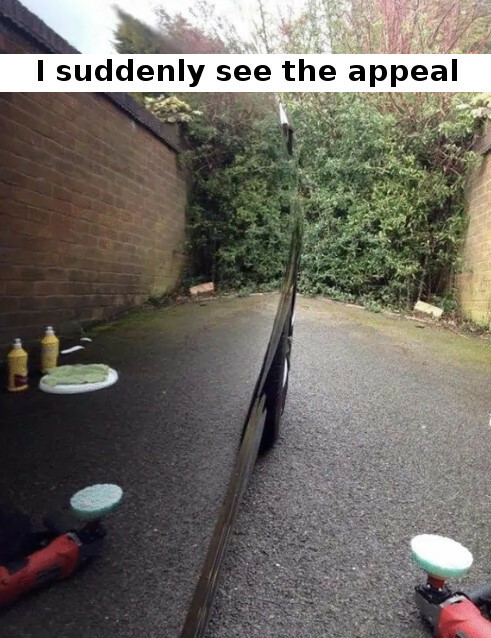 It reflects the surrounding area perfectly and it could almost blend with it Of course, the clever optical illusion was only possible because this car enthusiast did an insane amount of work to achieve this effect. We know what it takes to polish a car like that. It is a ton of hard work, but it always pays off in the end.